Working in Center City leaves you all kinds of options for lunch: fast food, fast casual, food carts, your office vending machine. But sometimes you just need a nice, relaxing sit down spot that isn’t the cafeteria or your desk. Matyson is certainly a place that fits the bill: small, upscale, and there’s no bar (It’s a BYOB) so you don’t have to explain to your boss why you’ve come back to the office smelling like a brewery. I chose Matyson for several reasons: 1) proximity to my office (a whole two blocks away! 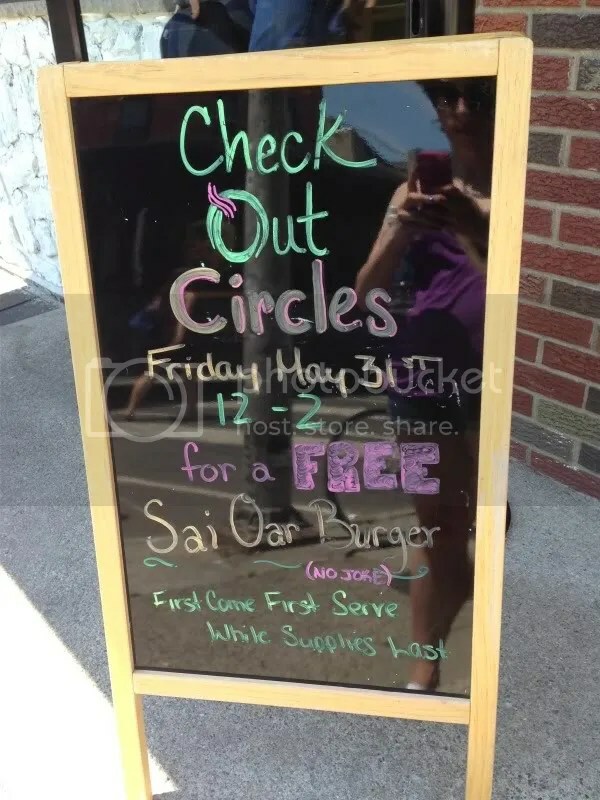 ), 2) owned and operated by the same awesome team behind Cheu Noodle Bar and 3) They had a $10 burger on their lunch menu. 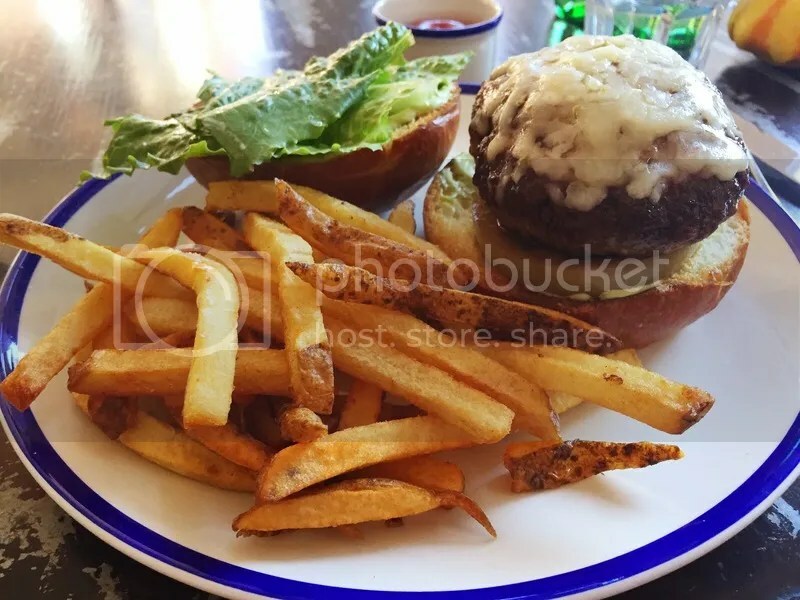 The Matyson Burger comes topped with lettuce and tomato, but you can accessorize however you please for a few shekels more (I added cheddar to my burger for a buck), and it is paired with fries or a salad (or Parmesan truffle fries for only $2 more). When I walked inside, I was instantly hit with that sweet truffle oil smell, so clearly, I had to go with the truffle fries. 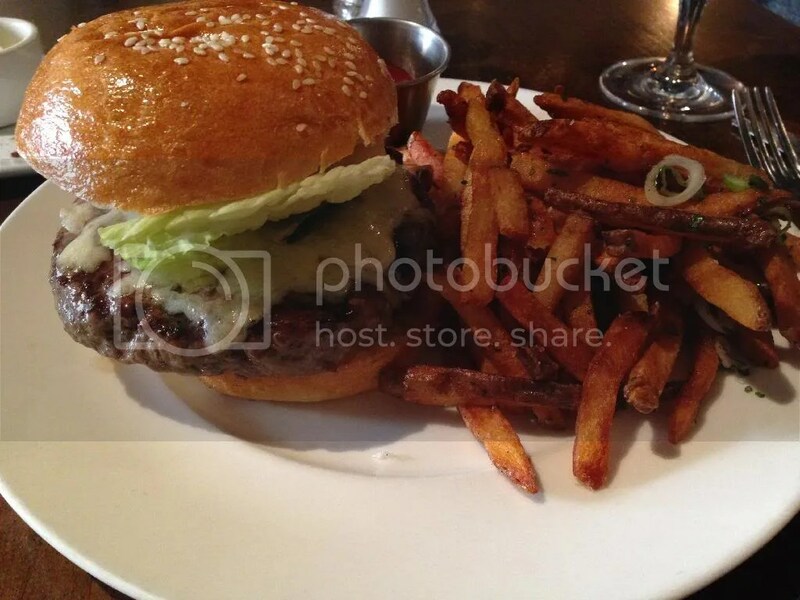 The burger came out fairly quickly, a must for us business types with limited lunch hours. The bun was a buttery brioche style, housing a fairly large patty underneath. Temperature wise, the burger was cooked medium as requested, although I prefer a little bit more of a pink center (The meat used seemed very similar to the mix that comprised Cheu’s Ramen Burger over the summer). Crisp lettuce, a nice sized tomato slice (hidden beneath the bun in the above pic) and a little sprinkle of salt & pepper gave it a very fresh taste; it was very similar to the way I cook my own burgers at home. 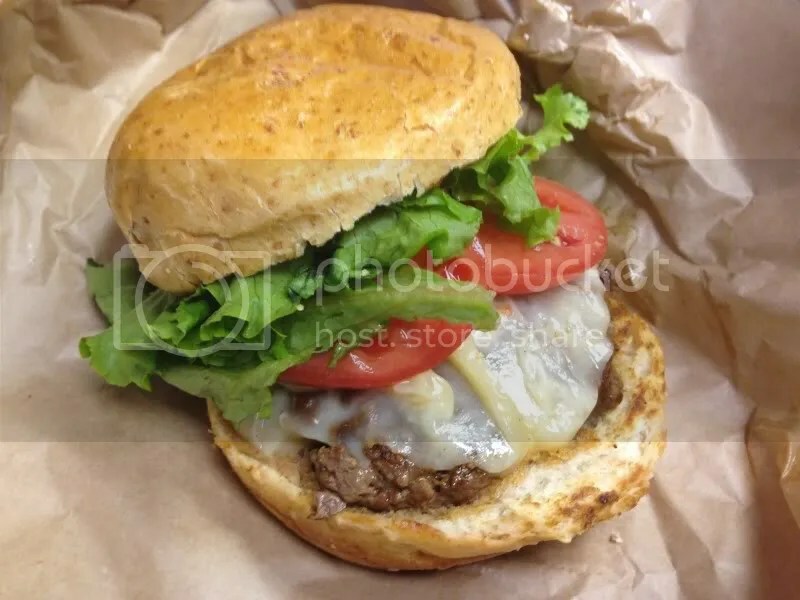 Definitely a solid burger choice if you’re lunching downtown, and a great place to bring co-workers and business associates if it’s a “working lunch”; just make sure you tip well on the company tab! 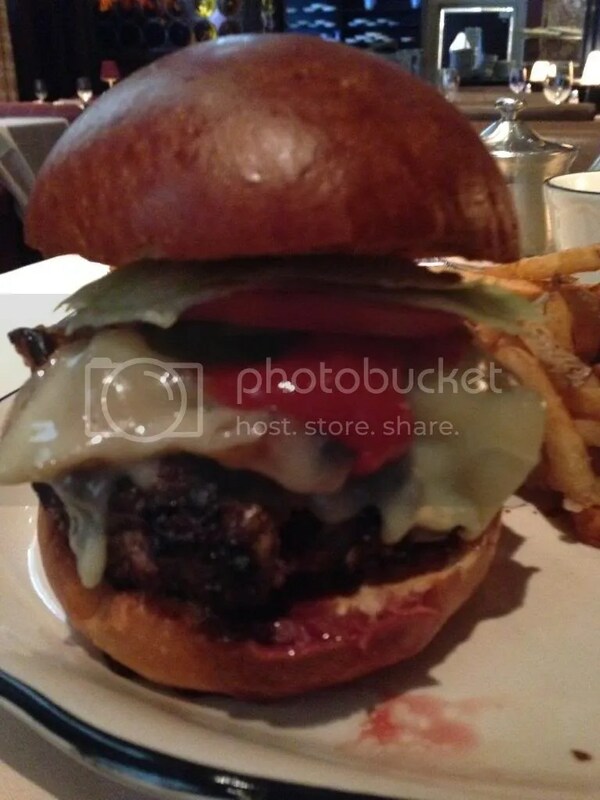 Posted in brioche, buns, burger, burgers, BYOB, Center City, cheddar, Cheu Noodle, fries, lunch, philadelphia, truffle. Bookmark the permalink. 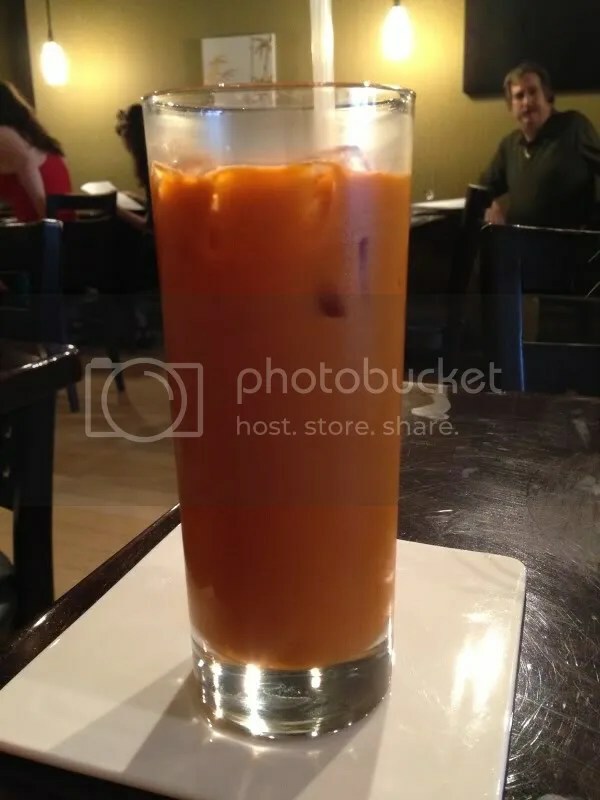 The last time I ate at 500 degrees I hadn’t created this site yet, even though I did make my review of the place my very first post! Since I did a revisit with the burger at London Grill after having reviewed it without posting pictures, I figured I’d go ahead & give 500 Degrees a 2nd time around as well. So, just to catch you up – 500 Degrees is owned by Rob Wasserman, who also owns Rouge in Rittenhouse Square and organizes the annual Burger Brawl. Their menu has been revamped a little bit since my first trip two years ago. 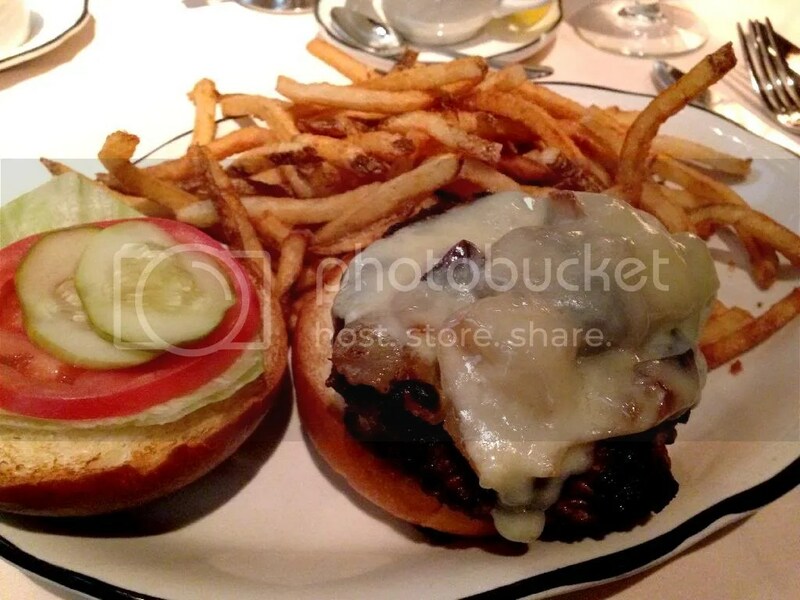 I opted for “The Classic” – your choice of cheese, lettuce & tomato – cooked medium, and a side of truffle tries. My burger was a little more on the medium well side; I’m guessing because I took it to go & it was probably still cooking in the middle on my way back to work. They’ve moved on from the super shiny brioche buns I remember from my previous trips, and the bun was nice and soft, holding up well through each bite. Crisp, fresh plum tomato slices topped the patty. The meat itself has an excellent flavor; just the right ratio of fat to lean meat to produce some juice without being bland and dried out. 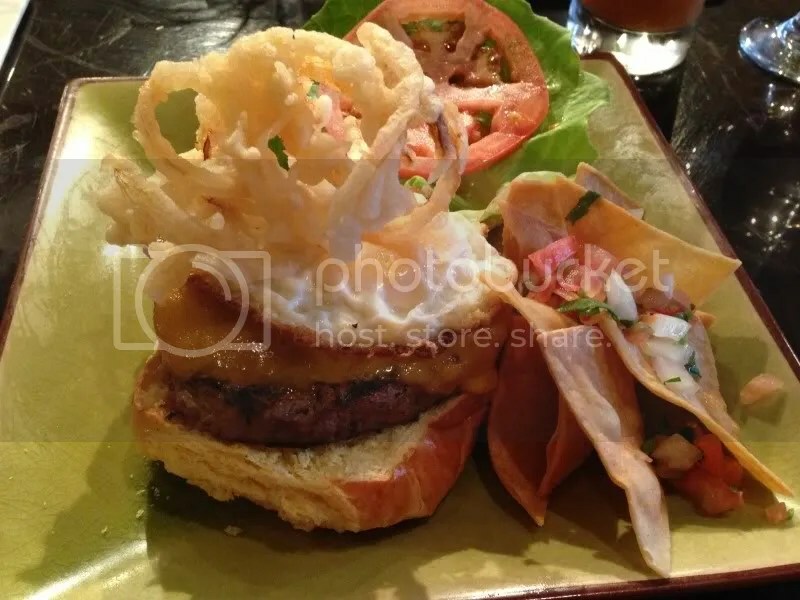 And considering both my burger & fries ran about $11.50 including tax (adding extra for the truffle fries), I would definitely rather spend the dough on this burger then some place like Five Guys for the same price. 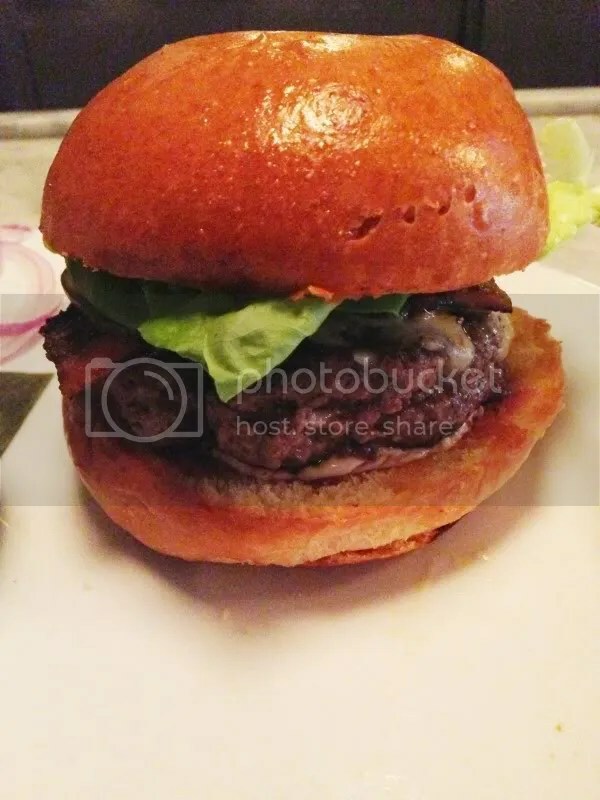 It was a solid, delicious, sit-down restaurant quality burger in a fraction of the time! So beat the other fast casual crowds at lunch time and check out 500 Degrees instead. Burger rating: Previously given a “B”, upgrading to a “B+”. Posted in 500 degrees, buns, burger, Burger Brawl, cheese, lunch, truffle. Bookmark the permalink. Strangelove’s is a beer bar that opened this past spring on 11th and Walnut. You may remember this spot in one of its previous short-lived incarnations such as the Blue Bear Tavern, The Butcher & The Brewer, or the Boilermaker. But with the masterminds behind Memphis Taproom, Local 44 & Resurrection Ale House manning the helm, it seems set to fair a lot better than its predecessors. (It already jumped to the top of my favorites list when they hosted Toshiyuki Kiuchi of Hitachino Nest beer fame during a tap takeover back in May.) While sometimes throwing in some of the familiar cast of characters on their beer list, they tend to lean towards the eclectic: rare finds, one offs and collaborations – such as their own Duet, with Manayunk brewery and WD-70, with Yards. Naturally, I stopped in to have a burger. 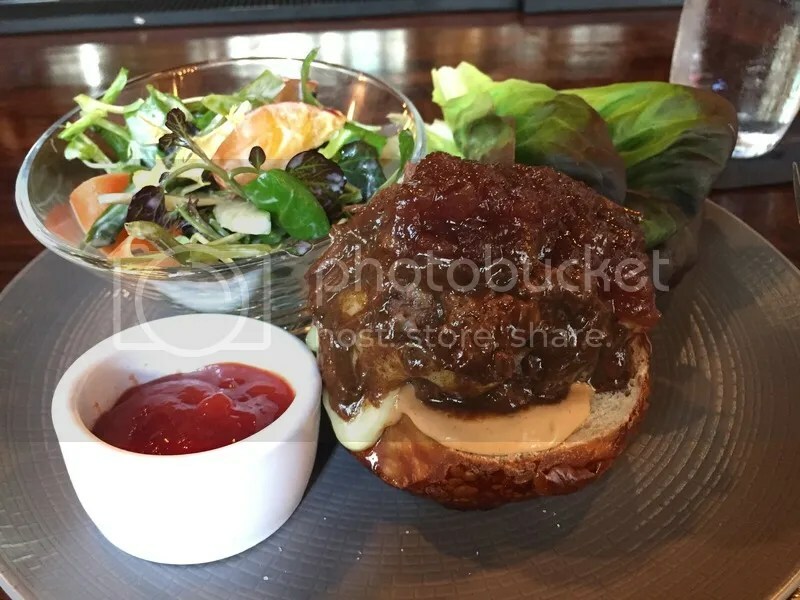 Their namesake Strangelove’s burger features a fried green tomato, goat cheese and a bacon BBQ sauce. I wasn’t feeling quite that adventurous, so opted for the Joe burger: lettuce, tomato, onion, cheddar, pickles, mayo – and added truffle bacon. 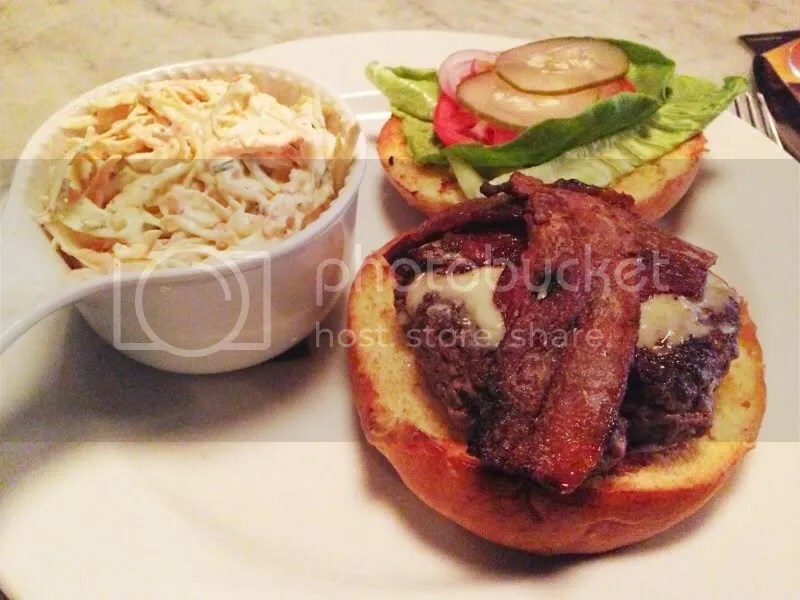 The burgers are paired with your choice of chips, salad or coleslaw. I went with coleslaw, because what better way to eat your vegetables then to have them slathered in mayo? Unlike last week’s dilemma where I found myself quickly running out of bun, there was the perfect bun to burger ratio. The bacon was thick and crispy, but the truffle flavor wasn’t really present; possibly overwhelmed by the rest of the toppings. The burger itself was a little more on the medium well side, probably due to the thickness of the patty (you’re definitely going to need both hands for this bad boy! ), but still fairly juicy. My only regret was getting the coleslaw because there was just way too much of it (at least a full 1-cup serving). I thought about putting some of the coleslaw on top, but I think it would just sog it down. I do have another suggestion, though: If you come in for the Strangelove’s Express lunch during the week (Mon-Fri, 11:30-3PM, 2 courses for $14), try ordering the fried green tomatoes as your appetizer and put some of them on top of the burger. Boom! Now you’ve got your own mash up of both the Joe & the Strangelove’s! Posted in bacon, beer, brioche, buns, burgers, fried, lunch, philly, Strangelove's. Bookmark the permalink.